Small businesses thrive across America, but some towns are just perfect for a growing business. In an effort to showcase towns that you might have missed in the past, we've looked at all the cities in America with between 100,000 and 250,000 residents and ranked them on just how small business friendly they can be. From Washington to Florida and everywhere in between (particularly Texas) there are hundreds of locations where small businesses can thrive. Check out the fifty best below! Business Tax Climate (.25): a ranking of the business tax climate for the state according to the Tax Foundation. Net Migration (.25): the net migration (not counting births or deaths) to a metropolitan area from 2010-2014 according to Census Data. Educated Workforce Index (.25): the percentage of bachelors degree or higher educated workers in the city according to City Data. Waco, Texas is home to Baylor University and has a population of 129,030 (or 258,974 for the entire MSA). Net migration over the last four years was 1,525, with a city-wide percentage of bachelors degree holders rate of 18.5%. Large employers include Baylor University, the Waco Independent School District, L-3 Communications, and a number of health centers. Currently Texas is ranked 10th in the nation for its business tax climate, and 13th for business costs. Abilene, Texas is home to the Dyess Air Force Base, and has a population of 120,099 (or 166,416 for the entire MSA). Business in the town benefits from Texas' relatively business tax and business cost advantages, being ranked as the 10th and 13th friendliest state, respectively. 22.1% of the population hold a bachelors degree or higher, and net migration has remained low over the last four years. In 2006 the city was the most highly ranked city in Texas for its public education system, and boasts a large number of Universities for the size of the town. Some of the largest employers in the area include the Dyess Air Force Base, the School District, the Health System, and the Texas Department of Criminal Justice. West Valley City, Utah, is a suburb of Salt Lake City and the second largest city in Utah at 133,579 residents. Starting in 2011, the city started a $500 million downtown development known as Fairbourne station. City government is nonpartisan, with a city manager whose role works a bit like a chairman on a corporate board. Some of the largest employers include Discover Financial, United Parcel Service, Verizon and Central Refrigerated Service, though the suburb is also within commuting distance for the larger pool of startups and corporations in Salt Lake City. Currently Utah is ranked 9th for their business tax climate, and 5th for business costs. Over the last 5 years, population has increased by around 10%, though the percentage of bachelors degree or higher holding residents is lower than the nearby Salt Lake City. Columbia, Missouri is the fourth most populous urban area in Missouri, and home to Stephens College, the University of Missouri, and Columbia University. Known for progressive politics, arts, and journalism, the town has a net migration of 5,242 over the last four years. Missouri as a whole is relatively business tax and cost friendly, ranking as 17th and 23rd respectively. Currently 55.9% of the city hold a bachelors degree of higher, making it the 10th most well educated city on our list. Large employers include Universities, hospitals, MBS Texbook exchange and Shelter and State Farm Insurance. 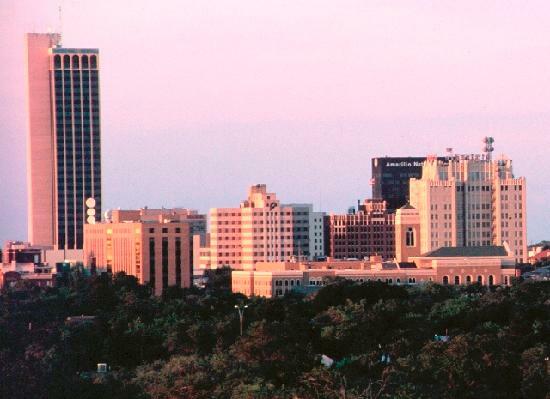 Amarillo, Texas is the most populous city in the Texas Panhandle, with a population of 196,429 (or 236,113 for the metropolitan area). The city was once the self-proclaimed "helium capital of the world" for their productive helium fields, and today is known as "Rotor City" for their V-22 Osprey hybrid aircraft assembly plant. The town benefits from Texas' 10th and 13th ranked business tax and climate profiles. In the last four years, net immigration was 1,225. Currently 21.9% of Amarillo's residents hold a bachelors degree or higher, a number on par with the state as a whole. Major industries in the area include meat packing (about 1/4th of the nations meat is packed in the area), the headquarters for the Texas Cattle Feeders Association, and petroleum extraction. Evansville, Indiana is the third-largest city in Indiana, with a population of 120,310, and functions as a medical, commercial, and cultural hub for the Illinois-Indiana-Kentucky tri-state area. Over the last four years, Evansville's net migration was 840. As far as business tax and costs, Indiana is ranked 8th and 10th, respectively. Currently 17.5% of the city holds a bachelors degree or higher. Large employers include a number of corporate headquarters such as Koch Enterprises, Accuride, Anchor Industries, and the Ameriqual group. Gainesville, Florida is the home of the University of Florida, the 8th largest University in the nation, and has a population of 127,488. Currently Florida is the 5th best state for business tax climate, though slightly more expensive than average for business costs, ranking 38th. Net migration over the last four years was 4,088 to Gainesville. Percentage of residents with a bachelors degree or higher is 42.9%, well over the state average of 26%. Large employers in the region include the University of Florida, Shands Healthcare, and the Veterans Health Administration. Lakeland, Florida is located directly outside of Tampa, and is the principal city in the Lakeland-Winter Haven metropolitan statistical area. Current population is 100,710, though much higher for the region as a whole. The business tax climate and business costs rankings for the state are 5th and 38th, respectively. Net migration to the MSA was 26,568 over the last four years. Currently 26.1% of the city hold a bachelors degree or above, which is slightly above the state average. The largest industry sectors in the region include citrus, cattle, and phosphate mining; tourism, medicine, insurance, and transportation are industry sectors that are on the rise. 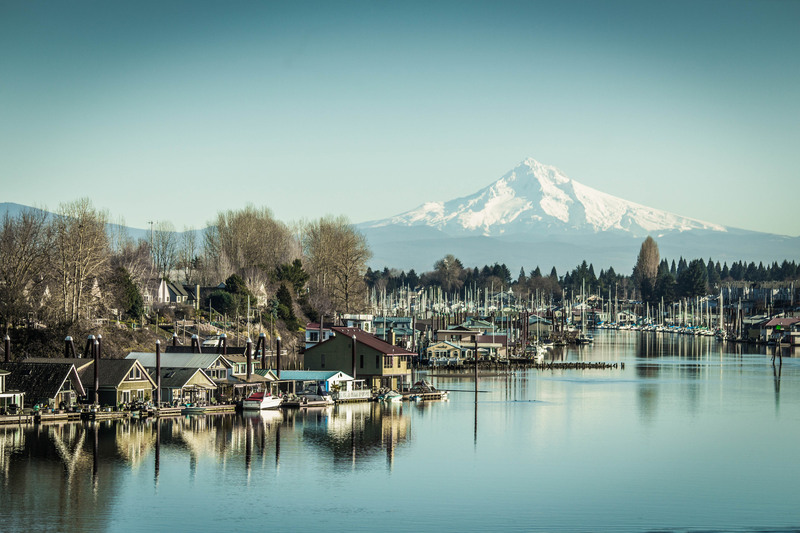 Salem, Oregon is the third largest city in the state as well as the state capital, with a population of 160,614. Currently Oregon is ranked as the 12th best state for business tax climate, and the 12th best state for business costs. Over the last four years net migration to Salem has been 4,599. 27.4% of the city have a bachelors degree or higher. The largest employers include (by far) the State of Oregon, local schools and healthcare, and the Federal and County government. Knoxville, Tennessee is the home of the University of Tennessee and the third largest city in the state with a population of 183,270 (though much larger counting the entire metro area). Tennessee is currently ranked 15th for business tax climate, and 19th for business costs. The net migration to Knoxville metro over the last four years was 16,502. City-wide level of bachelors degree of higher holders is 30.2%. The largest employers include the Tennessee Valley Authority–the nation's largest public power provider–as well as Regal Entertainment Group and Pilot Flying J, the nations largest truck stop chain. Billings, Montana is the largest city in Montana with a population of 109,059 and a trade area of over 500,000 people. Currently Montana ranks 6th in the nation for business tax climate, and 21st for business costs. Net migration over the last four years was 5,206, and the percentage of residents who hold a bachelors degree or higher is 28.8%. 1$ in 7$ dollars spent in the state is spent in Billings, with Montana's lack of sales tax often making Billings a destination for surrounding states as well. With the recent energy boom in Montana, Billings has also served a central location for management. 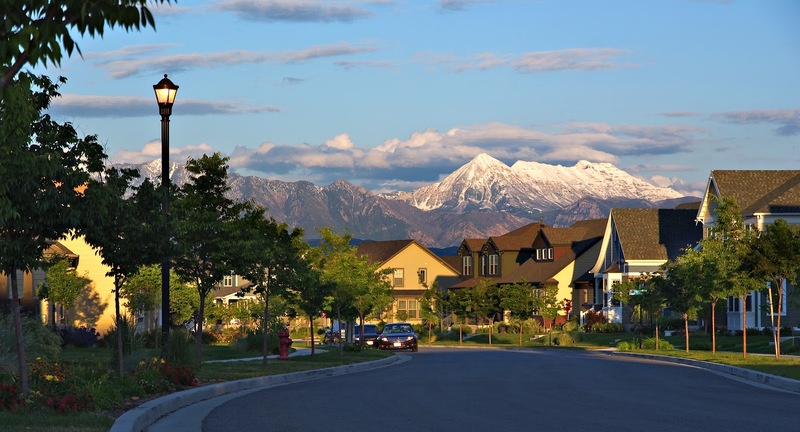 West Jordan, Utah is a quickly growing suburb of Salt Lake City and currently the fourth largest city in the state with a population of 110,077. Utah is currently the 9th best state for business tax climate, and the 5th best state for business costs. The estimated median household income in West Jordan is currently $65,936 which is almost $10,000 greater than the statewide average. Currently 22.9% of the city hold bachelors degrees and above. Companies headquartered in West Jordan include Maintain America Credit Union, Lynco Sales & Service, and SME Steel. McAllen, Texas is located on the Rio Grande about 70 miles west of the Gulf of Mexico and has a population of 136,639 (though much larger for the metropolitan area). Net migration to McAllen has been 3,373 over the last four years. Currently 24.9% of McAllan hold a bachelors degree or higher. The real driving force behind business in McAllan has been retail growth over the last ten years, with McAllan drawing a consumer base of some 10 million people including nearby northeastern Mexico. Texas is currently the 10th best state for business tax climate, and the 13th best state for business costs. Tacoma, Washington is the third largest city in Washington with a population of 203,446. Located on the Puget Sound with Seattle, the city serves as a business center for the southern Sound region (a population of around 1 million). Washington is currently the 11th best state for business tax climate, and the 20th best state for business costs. Tacoma's metro area had a net migration of 137,018 over the last four years, ranking 7th of surveyed cities. 23.8% of Tacoma's residents currently hold a bachelors degree or higher. Traditionally a port city, some of the largest employers in Tacoma include the Joint Base Lewis-McChord, local schools and healthcare, the State of Washington, and Boeing. Odessa, Texas clocks in at 110,720 residents, and was ranked as the third fastest growing small town by Forbes last year (net immigration was 10,226 over the last four years). Three universities call Odessa home, including the University of Texas of the Permian Basin, Texas Tech University Health Sciences Center, and Odessa College. As a whole, Texas is ranked 10th for business tax climate, and 13th for business costs. Currently 17% of Odessa hold bachelor degrees or higher. Odessa's economy has been primarily driven by oil in the past, but recently Family Dollar and Coca Cola distribution centers have been built, as well as plans for wind power, a clean coal plant, and a nuclear plant. Fargo, North Dakota has a population of 113,658, nearly doubling when coupled with its twin city of Moorhead, Minnesota and the surrounding metro. Fargo is the home of North Dakota State University, and is the cultural, retail, health, and industrial center for the surrounding regions. North Dakota is currently ranked 25th in the nation for business tax climate, and 9th in the business cost ranking. Net immigration over the last four years totals 11,578. Currently 40.3% of Fargo hold bachelors degrees or above. Healthcare, education, Case New Holland, US Bank, and Microsoft are some of the largest employers in the city. Vancouver, Washington is the fourth-largest city in the state with a population of 167,405. Coupled with Portland (OR) and the larger metro area population swells to the 24th largest metro in the US. Currently Washington is ranked 11th for business tax climate, and 20th for business costs. Net immigration for Vancouver metro is 70,835 over the last four years. 27% of Vancouver residents currently hold a bachelors degree or higher. With the option of commuting to Portland, a large portion of the economy is high tech and service industry based. Currently Nautilus, Inc and The Holland have corporate headquarters in Vancouver. Boise, Idaho is the capital and most populous city in Idaho with a population of 214,237 and a metro area population of 664,442. Currently Idaho ranks 19th for business tax climate, and 16th for business costs. Net immigration was 28,046 over the last four years that saw Boise increasingly become a corporate and tech hub. Large corporations headquartered in Boise include Albertsons, Idaho Pacific Lumber Company, WinCo Foods, and Micron Technology. Hewlett Packard and Microsoft also have offices in the city, ranked 9th for mid-size cities for entrepreneurs by Inc.com. 39.2% of the population have a bachelors degree or higher. Lewisville, Texas is perhaps primarily known as a recreational destination for residents of Dallas-Fort Worth, and for several years has been one of the fastest growing towns in the country. Current population is 101,074, up from 95,290 in the 2010 Census. Currently Texas is ranked 10th for business tax climate, and 13th for business costs. Currently 31.1% of Lewisville hold a bachelors degree or higher, well above the state average. Large employers include JPMorgan Chase, and Nationastar Mortgage. Due to it's location outside of the Dallas-Fort Worth metroplex, it has also become one of the largest locations for auto and boat sales in the nation. Scottsdale, Arizona–adjacent to the Greater Phoenix Area–has been described as a desert version of Miami's South Beach. Population is currently 226,918 with a net migration of 161,189 to the metro area over the last four years. The city is known a vibrant art and cultural scene, and boasts a number of large employers including Scottsdale Healthcare, General Dynamics C4 Systems, the Vanguard Group, and the Mayo Clinic. Arizona is currently ranked 23rd for business tax climate, and 25th for business costs. Currently 54.5% of Scottsdale hold a bachelors degree or higher. High Point, North Carolina is known as one of the "furniture capitals" of the world, due to an active furniture manufacturing sector. The city is also home to three universities: High Point University, South University, and Laurel University. Current population is 151,088 with a metro area net migration of 7,691 over the last four years. Large employers in the city include Bank of America, local healthcare, government, schools, Thomas Built Buses, and Ralph Lauren. Currently 28% of residents hold bachelors degrees or above, slightly above state average. North Carolina is currently ranked 16th for its business tax climate, and 4th for business costs. Alexandria, Virginia is located around 6 miles south of downtown D.C. and correspondingly has some of the highest percentages of professionals working for the Federal Government or government contractors in the nation. Current population is 148,892 with a net migration of 191,956 for the metro area over the last four years. 63.9% of Alexandria residents hold bachelors degrees or above, ranking the city as the 4th highest in this regard of cities surveyed. The largest public employers in Alexandria include the Department of Commerce, Department of Defense, and the Washington Metropolitan Area Transit Authority. The largest private employers in Alexandria include Inova Health System, ABN Janitorial Services, and the Institute for Defense Analyses. Virginia is ranked 27th in the nation for business tax climate, and 24th for business costs. St. Petersburg Florida is the 4th most populous city in Florida, and part of the larger Tampa Bay Area, the second largest metro area in the state. Current population is 249,688, with a metro area net migration of 120,478 over the last four years. 29.4% of St. Petersburg hold a bachelors degree or above, slightly above the state average. Large employers include Raymond James, All Children's Hospital, the Home Shopping Network, Bayfront Medical Center, and Fidelity National Information Services. Though the city also thrives off of a large amount of tourism. Currently Florida is ranked 5th for business tax climate, and 38th for business costs. Clearwater, Florida is the smallest of the three principal cities in the Tampa-St. Petersburg-Clearwater metro area, with a population of 109,703. Net migration to the metro area over the last four years is high, at 120,478. Large industries in the city include being the "worldwide spiritual headquarters" for scientologists, as well as tourism/hospitality, health care, technology, and manufacturing. 30.9% of Clearwater residents currently hold a bachelors degree of higher, well above the state average. Currently Florida is the 5th ranked state for business tax climate, and the 38th ranked state for business costs index. Tyler, Texas is a regional technology and educational hub, as well as the principle city in the Tyler Metro Statistical Area. Current population is 100,233, with a net migration of 4,534 over the last four years. Tyler is known as the rose-growing capital of the world, with a large number of businesses contributing to this title. Manufacturing and technology sectors are also strong. Currently 28.5% of the population hold a bachelors degree of higher, slightly higher than the state average. Texas is currently the 10th ranked state for business tax climate, and the 13th ranked state for business costs. 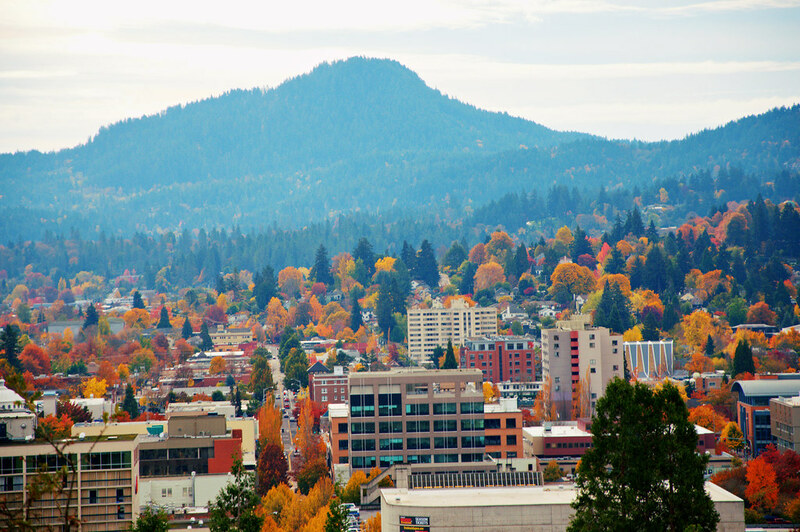 Eugene, Oregon is the second largest city in Oregon and home to the University of Oregon. Population is currently 159,190, with net migration over the last four years of 5,692. Large employers include the University of Oregon and local, state, and federal government. Known by the slogan "world's greatest city for the arts and outdoors," many business opportunities are also available around local cultural and natural events. 38.3% of Eugene have a bachelors degree or higher, substantially higher than the state average. Currently Oregon has the 12th best business tax climate in the US, and is ranked 12th for business costs. 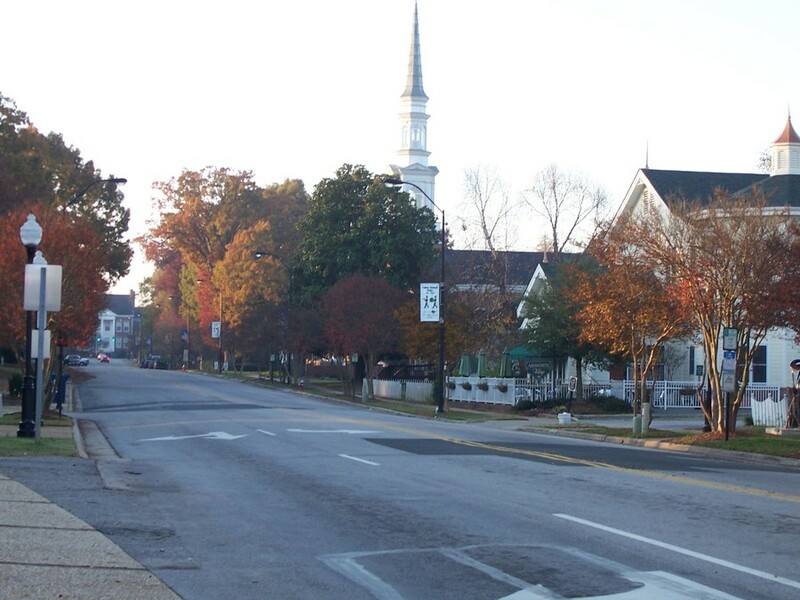 Murfreesboro, Tennessee is the fastest growing city in the state, home to Middle Tennessee State University, and part of the quickly growing Nashville metropolitan area. Population is 117,044, with net migration of 79,681 over the last four years. As part of the Nashville Metro area, the economy is large and varied. Large employers include Nissan, local schools, Middle Tennessee State University, State Farm Insurance, Verizon, and Amazon.com. Currently 35.9% of Murfreesboro hold a bachelors degree or higher, a rate much higher than the state average. Tennessee is the 15th best state for business tax climate, and the 19th ranked state for business costs. Lubbock, Texas is the largest city in a multicounty region–north of the Permian Basin and south of the panhandle–known as the South Plains. Current population is 239,538, with a net migration of 7,104 over the last four years. The region is known as the largest contiguous cotton-growing region in the world. Other top employers include Texas Tech University, local healthcare and schools, AT&T, and Convergys. 27.8% of Lubbock currently hold a bachelors degree or higher, slightly above the state average. Texas is currently the 10th ranked state for its business state climate, and the 13th best state for business costs. West Palm Beach, Florida is one of the three main cities in southern Florida with a population of 102,436. As part of the 8th most densely populated urbanized area in the US (with Miami and Fort Lauderdale), net migration was 279,218 over the last four years. Large employers in the city include ION Media Networks, General Dynamics, Sikorsky Aircraft, Cemex, Pratt and Whitney Rocketdyne, and CSC. 32.4% of West Palm Beach hold a bachelors degree or higher, well above the state average. Currently Florida is ranked 5th for business tax climate, and 38th for business costs. Midland, Texas is known as an oil town, and the onetime home of of former Presidents George H.W. and George W. Bush, and first Ladies Laura and Barbara Bush. Currently population is 123,933 with net migration of 12,895 over the last four years. 24.2% of Midland hold a bachelors degree or higher. As of 2014, Midland was known for having the lowest unemployment rate in the United States. Large employers include local schools and hospitals, Dawson Geophysical, Walmart, Midland College, and Baker Hughes. Texas is currently the 10th ranked state for business tax climate, and the 13th ranked state for business costs. 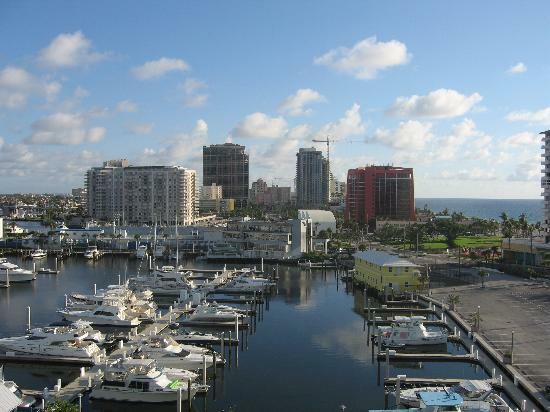 Fort Lauderdale, Florida is a principal city of the South Florida metropolitan area, with a population of 172,389. Over the last four years, net migration in the metro region has been strong, at 279,218. While Fort Lauderdale used to attract college students as a spring break location, today it relies on tourism from a wealthier, older crowd. Cruise ships and nautical recreation are a large portion of tourism revenue, and the city is a major manufacturing and maintenance center for yachts. Companies based in the area include AuroNation, Citrix Systems, DHL Express, Spirit Airlines, and the National Beverage Corporation. Currently 33.9% of Fort Lauderdale hold a bachelors degree of higher, a good bit higher than the state average. Currently Florida is ranked 5th for business tax climate, and 38th for business costs. Wilmington, North Carolina is a coastal city with a historic downtown, beautiful riverfront, and nearby beaches. Current population is 112,067, with a metro net migration of 5,004 over the past four years. 40.7% of Wilmigton hold bachelors degrees of higher, nearly twice the state average. Top employers include local health and education systems, General Electric, the University of North Carolina at Wilmington, the Pharmaceutical Product Development, and Verizon Wireless. North Carolina is currently ranked 16th for business tax climate, and 4th for business costs in the nation. Winston-Salem, North Carolina is the fifth largest city in the state with a population of 236,441. The city is known for its past involvement in the tobacco industry as well as their current dedication to fine arts and technological research. 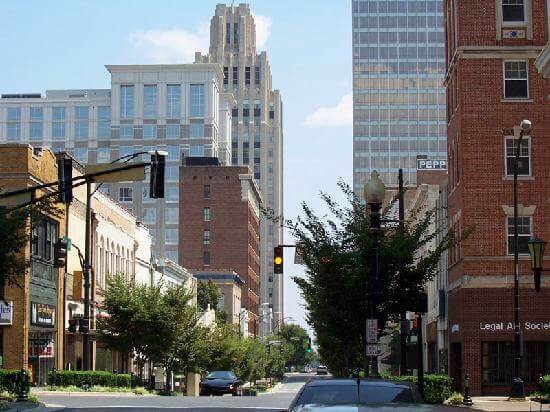 Net migration to Winston-Salem over the last 5 years has totaled 13,122. 33.7% of the city holds a bachelors degree or higher, a full 10 percent higher than the state average. Large employers include local government, healthcare, and schools, as well as Reynolds American, Wells Fargo, Hanesbrands, BB&T, and Wake Forest University. Currently North Carolina is ranked 16th in the nation for business tax climate, and 4th in the nation for business costs. Provo, Utah is the third-largest city in Utah, a booming tech town, and home to Brigham Young University. The city is also a destination for the outdoors, as a host to some of the venues for the Salt Lake City winter Olympics, and one of National Geographic Adventure magazine's places to "live and play." Current population is 116,288, with a net migration of 2,163 over the last four years. 36.7% of Provo residents hold a bachelors degree of higher. Current large employers include Brigham Young University, the LDS Church Missionary Training Center, Vivint, Nu Skin Enterprises, Novell, Ancestry.com, and a number of smaller tech startups. Currently Utah is ranked 9th for business tax climate, and 5th for business costs in the nation. Bellevue, Washington– French for "beautiful view"– is located across Lake Washington from Seattle and is its biggest suburb. Current population is 133,992 with a net migration of 137,018 largely due to the Seattle areas cultural and economic boom of recent years. 64.3% of Bellevue currently hold a bachelors degree or higher, which is more than double the state average. Some of the largest employers in Bellevue include local schools, Boeing, Expedia, Microsoft, Nordstrom, Safeway, T-Mobile USA, as well as a growing number of tech startups. Washington is currently ranked 11th for business tax climate, and 20th for business costs in the nation. College Station, Texas, is located in a region known as the Texas Triangle, and is home to Texas A&M University. Currently the city's population is 100,050, with a net migration over the last four years of 6,672. 57.3% of College Station residents hold a bachelors degree or higher, well over double the state average. College Station holds one of the lowest unemployment rates in the state. Some of the city's largest employers include the Texas A&M University system, local school and health centers, Sanderson Farms, and Reynolds and Reynolds. Currently Texas is ranked 10th for business tax climate, and 13th for business costs in the nation. Durham, North Carolina is home to Duke University and North Carolina Central University, and is one of the core cities of the Research Triangle. Current population is 245,475 with a net migration of 21,881 over the last four years. 47.6% of Durham hold a bachelors degree or higher, double the rate of the state as a whole. Due to its location as a key member of the research triangle, the city is home to a large concentration of workers in tech and science. Large employers include Duke University, IBM, GlaxoSmithKlin, Blue Cross & Blue Shield, Fidelity Investments, Quintiles, and RTI International. North Carolina is currently the 16th ranked state for business tax climate, and the 4th ranked state for business costs. North Las Vegas is the third largest city in Nevada, and located in the Las Vegas metro area. Population is currently 226,877, with a net migration of 64,729 for the metro area over the last four years. Located within the Las Vegas metro, North Las Vegas has traditionally been a manufacturing and warehouse distribution-based economy. Recently, support for tourism, high tech, and sustainability businesses have begun to crop up in the city. Currently 16.6% of North Las Vegas hold a bachelors degree or above. Currently Nevada is ranked 3rd for business tax climate, and 2nd for business costs. Reno, Nevada is the second most populous city in Nevada, home to a number of casinos, and located at the foot of the Sierra Nevada Mountains. Current population is 233,294, with a net migration of 10,299 over the last four years. 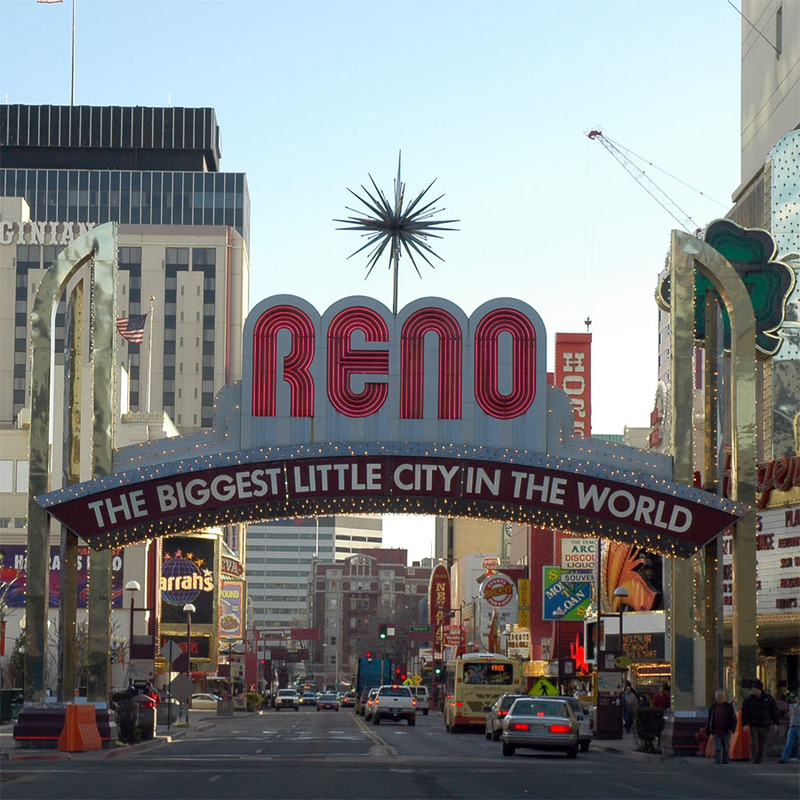 29.5% of citizens in Reno hold a bachelors degree or above, 5% above the state average. Due to its location, Reno has traditionally drawn gambling tourists from northern California, while Las Vegas has drawn gamblers from southern California and Phoenix. Some of the largest employers in the city include local schools, the University of Nevada at Reno, local government and healthcare, the Peppermill Hotel Casino, International Game Technology, Integrity Staffing Solutions, and the Silver Legacy Resort Casino. Currently Nevada is ranked 3rd for business tax climate, and 2nd for business costs. Salt Lake City, Utah, is the capital and most populous city in the state. Founded by Brigham Young and a number of other Mormon followers, the city is the headquarters for the Church of Jesus Christ of Latter-day Saints. Though today less than half of the population belongs to the LDS Church. Population is currently 191,180, with a net migration of 11,999 over the last four years. 44.8% of Salt Lake City residents hold a bachelors degree or above, almost twice the rate of the state as a whole. Large employers include the University of Utah, the LDS Church, Delta, and Sinclair Oil. The Hunstman Corp is the city's one Fortune 500 company. Zions Bancorporation and Questar Corporation are two local Fortune 1000 companies. A growing tech scene shared with Provo and Orem is also providing many new business opportunities. Currently Utah is ranked 9th for business tax climate, and 5th for business costs in the nation. Sioux Falls, South Dakota is the largest city in South Dakota, and center of a larger media market region that covers portions of four states (including parts of Nebraska, Iowa, and Minnesota). Current population is 164,676 with a net migration of 10,813 over the last four years. 30.9% of Sioux Falls' residents hold a bachelors degree or higher, a solid 5% above the state average. 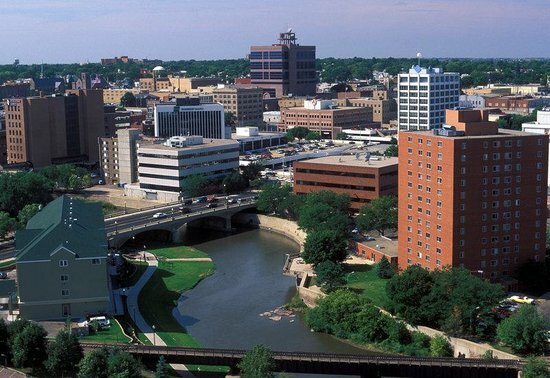 Partially due to the lack of a state corporate income tax, Sioux Falls is the home to a number of financial companies including Wells Fargo and Citigroup. Other large employers include Sanford Health, Avera Health, Smithfield Foods/John Morrell & Co, local schools, and Hy-Vee. Currently South Dakota is ranked 2nd for business tax climate, and 1st for business costs in the nation. Cary, North Carolina is the third largest city in the research triangle behind Raleigh and Durham. Population is currently 151,088 with a net migration of 72,742 over the last four years for the Raleigh-Cary metro area. Currently North Carolina is the 16th ranked state for business tax climate, and the 4th ranked state for business costs. 61.9% of Cary hold bachelors degrees or higher, at least partially attributable to the three world class research institutions nearby (Duke, NC State, and UNC-Chapel Hill). Of the many tech, research, and academic employers in the area, the largest employers include the SAS Institute, Cary Towne Center, Verizon, WakeMed, American Airlines, and Kellogg. the large number of highly ranked Texan cities can be accounted for by the massive net migration to the Austin, Dallas, and Houston metro areas, the strong marks for Texas in the business tax and cost indexes, as well as the large number of cities between 100,000 and 250,000 in population that happen to be surrounding communities of Texas metros. Irving, Texas is part of the Dallas-Fort Worth metroplex, and has a population of 228,653. For the metro area, the net migration was 282,419 over the last four years, with Irving playing a large part in its own right an due to its proximity to Dallas or Fort Worth. Currently 32.5% of Irving residents hold bachelors degrees or higher, well above the state average. A number of Fortune 500 companies call the city home, with the largest employers including Citigroup, Verizon, Irving Mall, Aegis Communications, and Allstate Insurance. Currently Texas is ranked 10th for business tax climate, and 13th for business costs. Round Rock, Texas is a city in the Austin metropolitan area and was the fastest growing city in the nation in 2008. Current population is 109,821, with net immigration of 152,058 for the metro area over the last four years. Currently 38% of Round Rock hold a bachelors degree of higher, over 12% higher than the state average. Round Rock is perhaps best known as the international headquarters of Dell. There are, however, over twenty other major employers including IKEA, KoMiCo Technology Inc., Texas Guaranteed Student Loan Corp, Cintas, Dresser, and Hospira. Texas is currently the 10th best state in regards to business tax climate, and 13th ranked state for business costs. Denton, Texas is a smaller city in the Dallas-Fort Worth metroplex, and home to the University of North Texas and Texas Woman's University. Current population is 123,099 with a metro net immigration of 282,419 over the last four years. 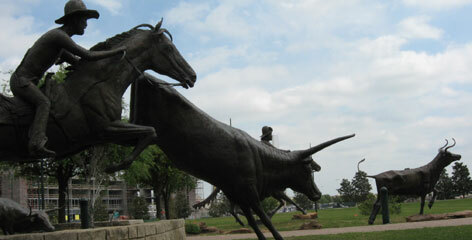 Over 300,000 visitors for various music festivals and the North Texas State Fair and Rodeo come to Denton every year. Other top employers include local universities and school system, Peterbilt Motors, and a massive number of corporations that call the Dallas-Fort Worth region home. Currently 35.5% of Denton hold a bachelors degree or higher, more than 10% over the state average. Texas is currently the 10th best state in regards to business tax climate, and 13th ranked state for business costs. Carrolton, Texas is regularly voted one of the best small cities to live in in America. Population is currently 126,700, yet the larger Dallas-Fort Worth metroplex raised net migration to 282,419 over the last four years. Corporate headquarters in Carrolton include Halliburton, Motel 6, RealPage, and TGI Friday's. Currently 36.1% of Carrolton residents hold a bachelors degree or higher, well above the state average. Texas is currently the 10th best state in regards to business tax climate, and 13th ranked state for business costs. Pearland, Texas is the third largest city in the Houston Metro area, with a population of 100,065. With population growth of 145% from 2000-2010, the city was the 15th fastest growing in the nation over the period and part of a net migration of 321,525 for the metro area over the last four years. 39.6% of Pearland residents hold a bachelors degree or above, well above the state average. The Pearland economy is varied, ranging from a large number of retail outlets that can be attributed to its suburban nature, to a large number of residents employed by NASA and the Texas Medical Center. Currently Texas is ranked 10th for its business tax climate, and 13th for business costs. 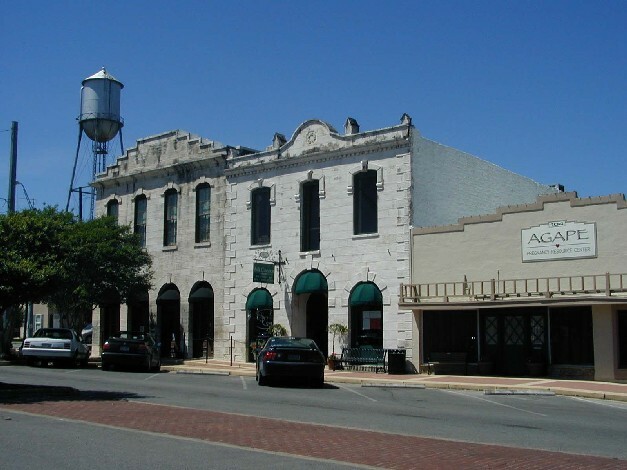 McKinney, Texas has been labelled one of the nation's three fastest growing cities for four of the last fifteen years. Current population is 148,599, and as part of the Dallas-Fort Worth Metroplex, metro net migration is at 282,419 over the last four years. 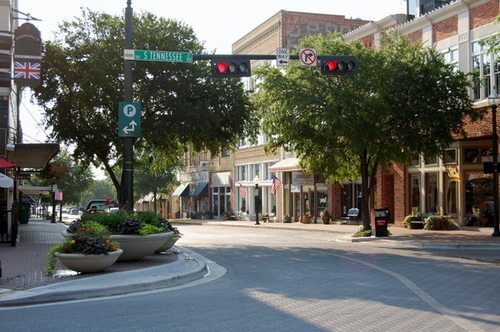 Last year, McKinney was ranked as the "#1 place to live in the nation" by CNN's Money Magazine. 47% percent of the population holds a bachelors degree of higher, almost double the state average. The economy is varied and draws from surrounding suburbs and the rest of the region. Large employers currently include Raytheon, public schools, Torchmark, Encore Wire, and government offices. Currently Texas is ranked 10th for the best business tax climate, and 13th for business costs. Richardson, Texas is an inner suburb of Dallas with a population of 104,475. The city is known as the home to the University of Texas at Dallas, and the Telecom Corridor: a large portion of the 5,000+ businesses that have operations in Richardson. As part of the Dallas-Fort Worth Metroplex, net migration over the last four years has been 282,419. Large employers include AT&T, Ericsson, Verizon, Cisco Systems, Samsung, MetroPCS, Texas Instruments, Qorvo, and Fujitsu. 50.1% of Richardson residents hold bachelors degrees or higher, more than twice the state average. Texas is currently ranked as the 10th best state for business tax climate, and the 13th for business costs. Frisco, Texas was one of the fastest growing cities in America from 2000-2009, and like a number of northern Dallas suburbs served as a commuter community for a number of professionals working in Dallas or Fort Worth. Current population is 136,791, while net migration to the metro over the last four years is 282,419. A massive amount of the city's economy comes from the retail and services industries. Other large employers include the local school district, T-Mobile USA, Amerisource Bergen Specialty Group, and local medical centers. 60.1% of Frisco residents hold a bachelors degree or above, a full 35% above the state average. Texas is currently ranked as the 10th best state for business tax climate, and the 13th for business costs.